PureFit bars are versatile and are a popular choice of Soccer Moms, Pro-Athletes and people who need a healthy snacks at work with no harmful ingredients. 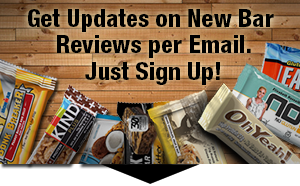 These low glycemic and nondairy bars are based on over 20 years of research and come in 7 flavors. NO Artificial Sweetners NO Hidden Carbohydrates NO Sugar Alcohol. INGREDIENTS: Brown Rice Syrup, Soy Protein Isolate, Beet Syrup, Peanuts, Soy Nuts, Soy Protein Crisps (Soy Protein Isolate, Tapioca Starch, Salt), Peanut Flour, Sunflower Oil, Chicory Fiber, Natural Flavors, Sea Salt. Allergen Statement: Contains soy and peanuts. Manufactured in a facility that also processes tree nuts, milk and eggs. 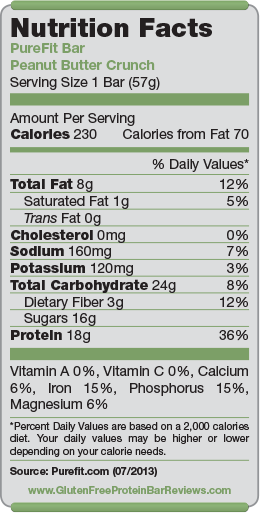 Nutrition facts based on Peanut Butter Crunch flavor. Facts and ingredients vary by flavor. There are many different opinions about the taste of PureFit bars on the internet, that go from awesome to just bland. Not a lot of candy bar taste comparisons for this bar. It’s more like the usual nutrition bar taste. Buyers describe the texture as very soft like raw dough with a little bit of a crunch to it. It has been mentioned that you might have to drink some water with it to wash it down. PureFit bars have a low glycemic index and they are diabetic-friendly, kosher and vegan, which makes them a good choice for anyone. All ingredients are all natural and don’t contain any artificial sweeteners or hydrogenated oils. Some buyers didn’t like the fact that this bar’s only protein source is Soy, even though it’s non-GMO Soy. 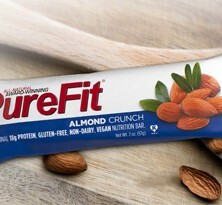 $2.49 retail for a nutrition bar like PureFit an average amount for that size. The price per box is a little higher compared to others and that’s mainly because PureFit comes with 15 bars a box instead of the common 12 bars. These statements have not been evaluated by the Food and Drug Administration. Products on www.glutenfreeproteinbarreviews.com are not intended to diagnose, treat, cure or prevent any disease.